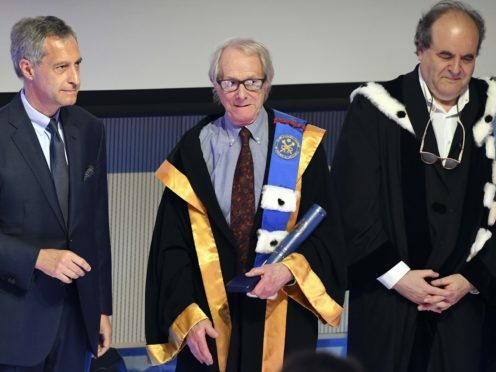 The Brussels ULB university honoured British director Ken Loach with a special doctorate despite veiled criticism from Belgium’s prime minister Charles Michel and outspoken rebukes from Jewish organisations about anti-Semitism allegations. Loach, who is known for his strong defence of the Palestine cause, is often critical of the Israeli government. Still, he denied again on Thursday that he is anti-Semitic. Mr Michel, a former ULB student, said in the Brussels Grand Synagogue on Wednesday night that “anti-Semitism cannot be tolerated, whatever its form. “That also goes for my alma mater”. He did not explicitly name Loach as the target of his criticism but his university honour had been prominent in the Belgian media for days. The president of the European Jewish Congress, Moshe Kantor, was more emphatic, saying that the honorary doctorate for Loach “can only be seen as an endorsement of someone who has played fast and loose with the historical record to the point of trivialising the Holocaust”. Loach, 81, has strongly denied he ever questioned or trivialised the Holocaust. A committed leftist, Loach said: “I know very well the history of Holocaust denial. “It is the province of the far right, and I have nothing to do with that. Brussels’ French-speaking university said it had checked the allegations against Loach and found no objections strong enough to deny him the doctorate. The ULB said it wanted to laud the director for his “militant” movies about social conflicts and the fight of workers and immigrants to improve their lot. Loach has twice won the prestigious Palme d’Or award at the Cannes Film Festival. Loach urged Mr Michel to retract his comments. “Mr Michel: look at the evidence and then withdraw your words,” Loach said. Loach has also been involved in the British Labour Party’s scandals involving anti-Semitism and has been accused of trying to downplay its prevalence in the party.